It is one of my oldest friends, and enemies. I have four representations of the instrument in my home office. A beat-up Samick 4-string which I paid a hundred bucks for at a local shop in Halifax. A 6-string Ibanez which saw a great deal of work on stage and at many a drunken jam session or two. In Alberta, Ontario and here in Nova Scotia. There’s also a Cort Acoustic short-scale 4-string. Something that I can jam with, minus an amplifier. Then there is this great thing you see in the picture below. A custom-built 5-string electric upright that I would call my favourite of the lot. 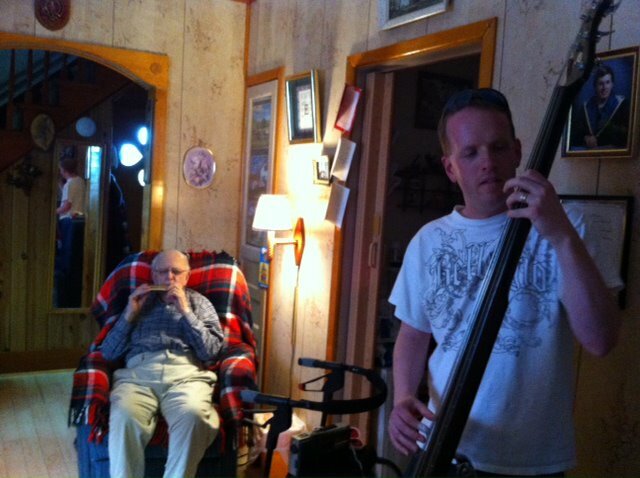 This pristine captured moment is a jam session involving my Grandfather on Harmonica, and my Dad out of sight on guitar and voice. It was some horrid gospel song that Dad was playing and Gramps and I were just going along with it. This happened a few months before Gramps passed away. He was out of breath after his Harmonica solo. He knew I hated the music but that was not important. It was important that after all these years I was able to play music with the two of them at the same time. I enjoyed that moment, as awful as it might have sounded to some. I have long considered the bass as part of who I am. An extension really. For the longest time I was worrying that I did not continue to at least maintain what skills I have. 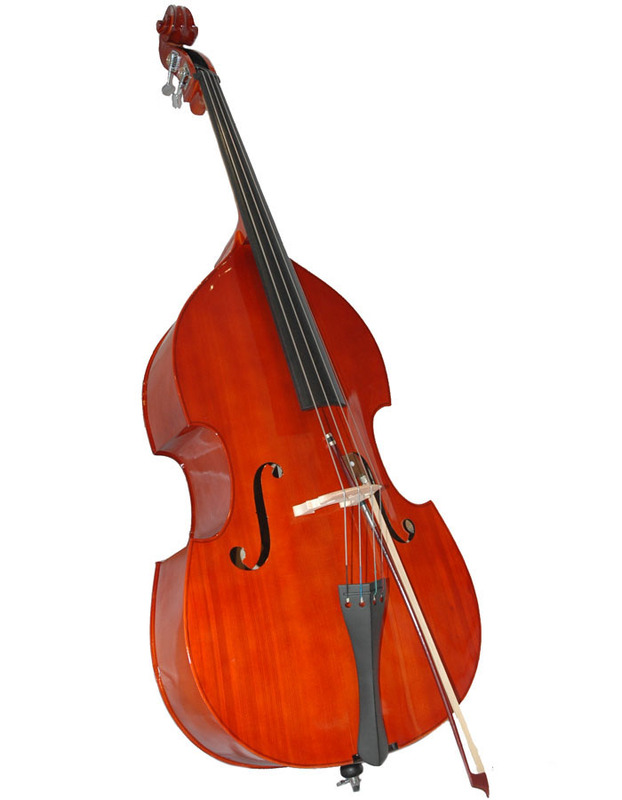 There would be times that I would pick up a bass or stop at the upright and just play what I felt at that moment. So many times I sounded like garbage. Probably because that is how I felt. Inadvertently I would want to get mad at the bass and blame it for not sounding good. I would walk away a frustrated writer with some musical talent. This week past has been different. For a few weeks I wanted to spin one of my favourite records and see if I could play all of one side without stopping. Incidentally, the record was The Northern Pikes “Big Blue Sky”. Jay Semko (vocals and bass) is still one of my favourite musicians and an early bass influence along with Rush’s Geddy Lee and Baz Donovan of Blue Rodeo. Much to my delight I barely missed a note. I felt a bit rejuvenated in the musical abilities I have. It was reconnecting with an old friend. It was a reminder of how enjoyable it is to be able to play an instrument and play it well. Posted in Notes from the Frogpond.Tagged bass, Bass Player Magazine, Baz Donovan, Blue Rodeo, Geddy Lee, Ibanez, influence, Jay Semko, Northern Pikes, Rush, Samick, upright.